Kelly Connole combines the tactile nature of clay with visual interpretations of memories and emotions that address relationships within environments: natural and constructed, human and animal. Her work has been exhibited at the NCECA Biennial at the Kentucky Art Museum and NCECA Invitational at the Bellevue Arts Museum, as well as the Flaten Art Museum, Contemporary Crafts Museum, and numerous galleries and museums across the country. She has received a McKnight Residency Grant and Artist Fellowship, a Jerome Project Grant, a Minnesota State Arts Board Grant, and the SeaCast Residency Fellowship. She is currently an associate professor at Carleton College in Northfield, MN. Connole received her MFA from San Francisco State University in1996 and her BFA from University of Montana in 1991. Memories, raw instinct, and elements of the natural world inform my desire to create narrative pieces that celebrate the tactile temperament of clay and my connection to it. I investigate relationships within environments: natural and constructed, human and animal, tangible and fleeting. I rely on groups of hybrid creatures to examine complicated spaces between wild and tamed, friendly and eerie. 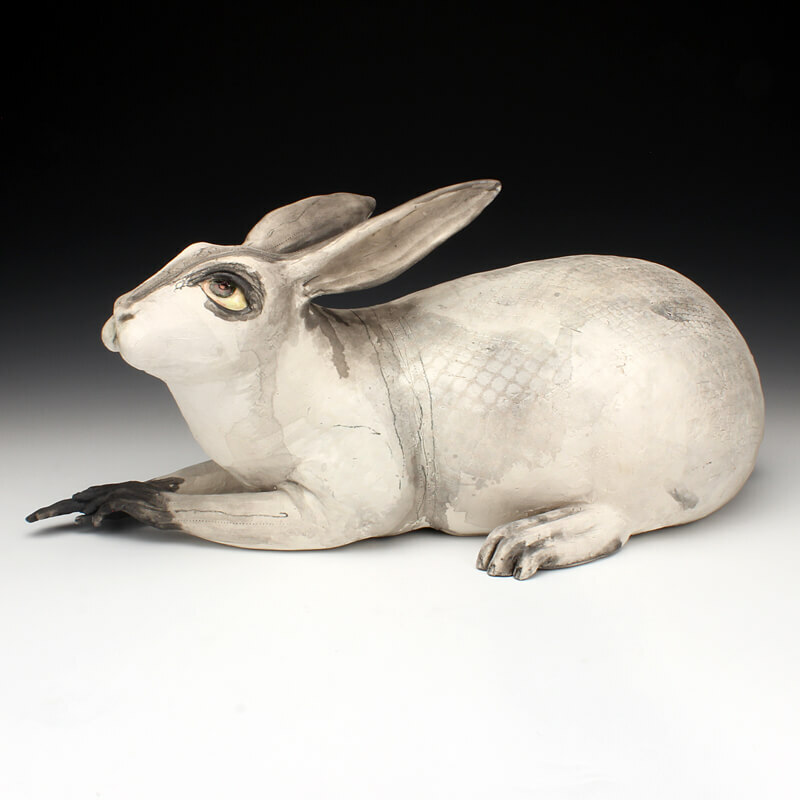 Rabbits, crows, and other animals perform much like human beings in my work, exposing vulnerabilities and tendencies through the gesture of ears, wings, hands and bodies. As humans, we love to go into nature—forgetting that we are, in fact, part of nature. As the most dominant species, we choose which plants and animals are pests and those whom we cherish—endowing them with human attributes to make them more like us. Our interactions with wild things are filled with contradictory emotions of fear and delight, and our desire to personify, name, and categorize, all that we encounter.